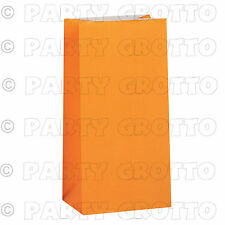 Pack of 8 party bags ideal for sweets and party goodies. Perfect for any children's party! Fill these party bags full of goodies for your guests. Sweets look great as you can just see what is in there! ---This is a pack of 20 Polka Dot Spot Green Birthday Cellophane Loot Treat Gift Party Bags with Twist Ties. 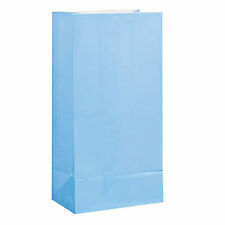 ---Each of these fantastic cellophane bags features a stylish design filled with white spots on a green background. ---Every bag comes complete with a matching twist tie. ---(Crepe paper NOT Included) ---Perfect for any occasion these stylish party bags are fantastic for Birthday parties and great for handing out sweets and treats to your party guests. 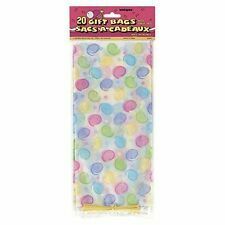 ---This is a pack of 20 Polka Dot Spot Pink Birthday Cellophane Loot Treat Gift Party Bags with Twist Ties. ---Each of these fantastic cellophane bags features a stylish design filled with white spots on a pink background. ---Every bag comes complete with a matching twist tie. ---(Crepe paper NOT Included) ---Perfect for any occasion these stylish party bags are fantastic for Birthday parties and great for handing out sweets and treats to your party guests. 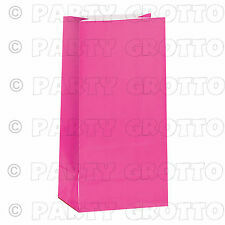 5 pink party bags (loot bags) - Loose. They might have the occasional crease but are unused. Bags measure a maximum of 220mm x 150mm when flat.